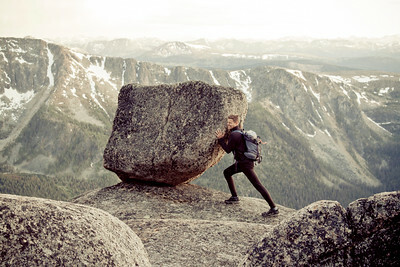 A backpacker attempts to push a large boulder in Cathedral Lakes Provincial Park. 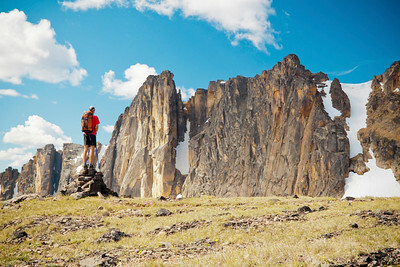 Backpacking in Cathedral Lakes Provincial Park. 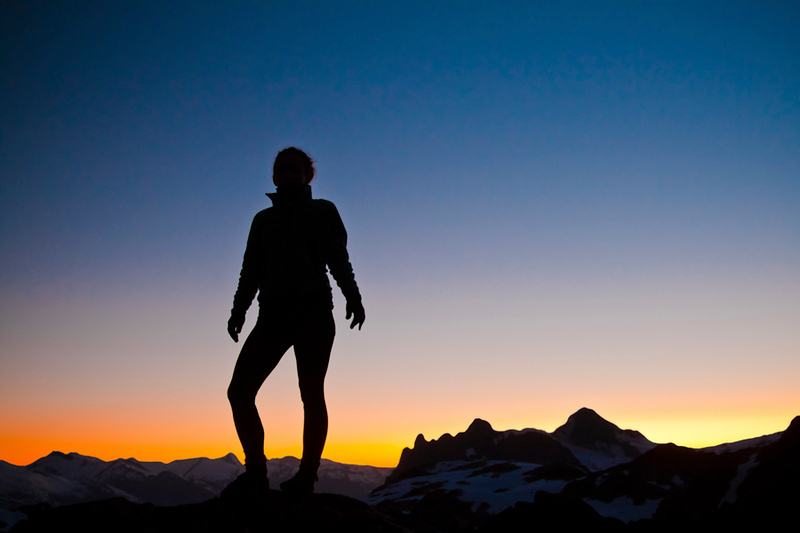 C. Kimmel Mountain Life Mag Jan 2016 submissions - No Use without permission. 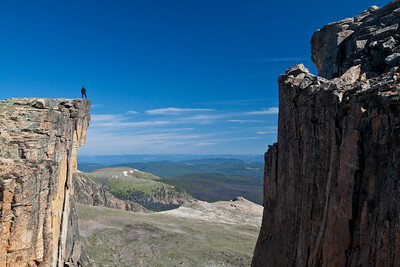 A backpacker jumps into the air next to a cliff edge. 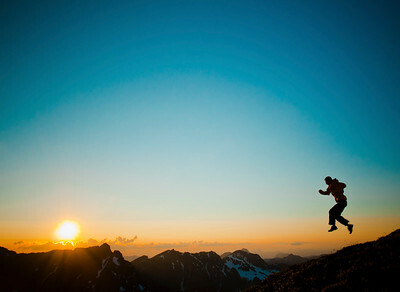 A backpacker jumps into the air next to a cliff edge in Cathedral Lakes Provincial Park, British Columbia, Canada. 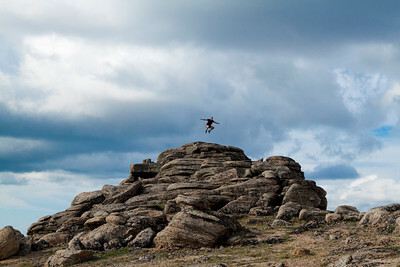 A backpcaker jumps into the air off a rocky formation in Cliff City, a area with unique geology in Cathedral Lakes Provincial Park, British Columbia, Canada. 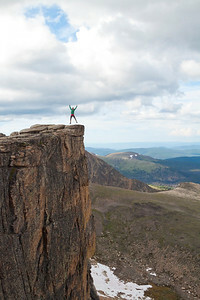 A backpacker stands on the edge of a large cliff. 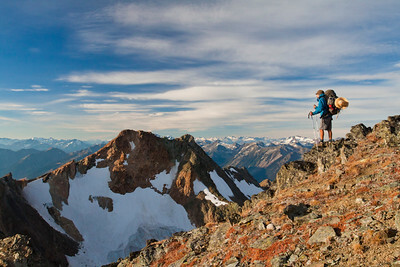 A backpacker stands on the edge of a large cliff during a trip to Cathedral Lakes Provincial Park, British Columbia, Canada. 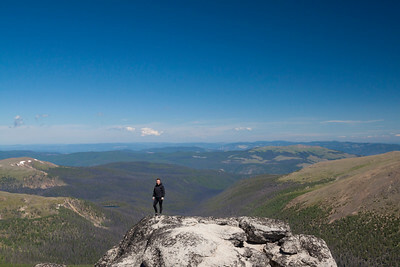 A hiker stands on the summit of Grinface Mountain in Cathedral Lakes Provincial Park. 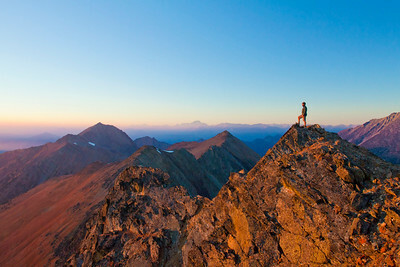 A hiker stands on the summit of Grinface Mountain in Cathedral Lakes Provincial Park, British Columbia, Canada. 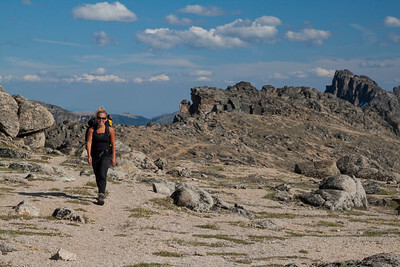 A fit woman hiking in Cathedral Lakes Provincial Park. 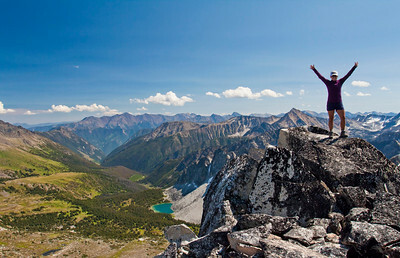 A fit woman hiking through Stone City in Cathedral Lakes Provincial Park, British Columbia, Canada. 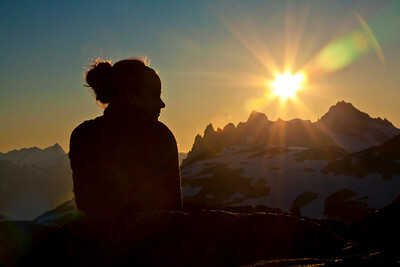 A felmae hiker watches from an alpine ridge as the sunsets behind a mountain range near Whistler British Columbia, Canada. 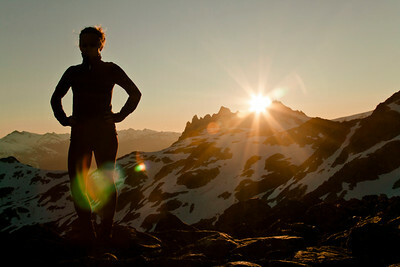 A female hiker stands on a rocky mountain ridge before sunset near Whistler British Columbia, Canada. A femlae hiker silhouetted against a colorful evening sky near Whistler British Columbia, Canada. 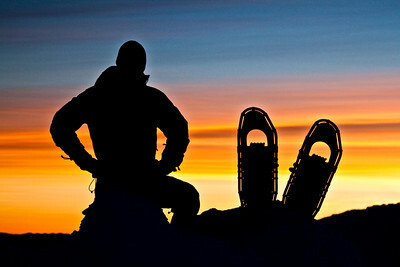 Silhouette of a climber on the summit of a mountain. 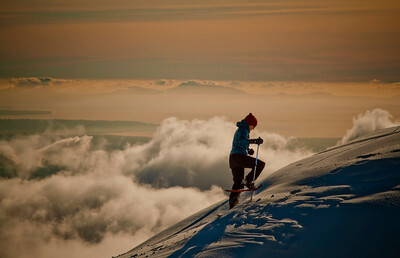 A young woman snowshoes up a small slope on Seymour Mountain near Vancouver, British Columbia, Canada. 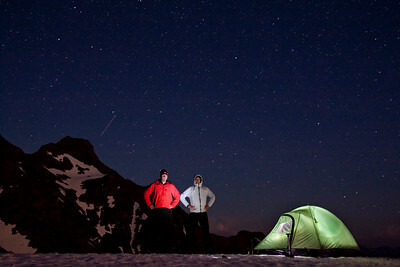 Two hikers stand beside their illuminated tent under the starry night sky below Silvertip Peak in British Columbia, Canada. 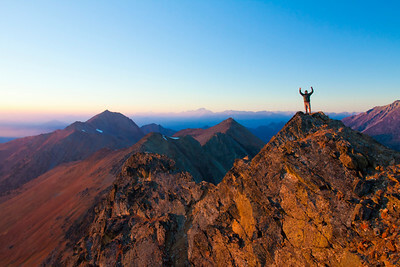 A female hiker celebrates by raising her arms in the air after climbing to the top of Linus Peak in the Downton Creek Area, British Columbia, Canada. 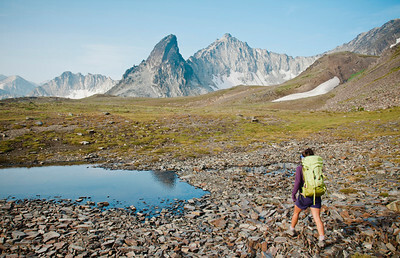 A female backpacker walks across scree and past a small tarn on her way towards the mountain range in the distance. 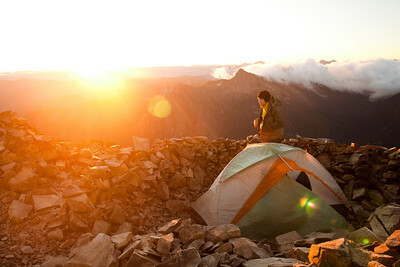 The morning sunlight illuminates a hiker standing beside his tent on the summit of Frosty Peak, British Columbia, Canada. 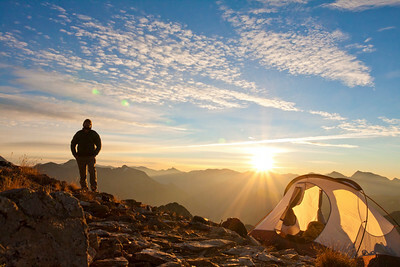 A man looks east towards the morning sun from his alpine camping location on Frosty Peak in Manning Provincial Park, British Columbia, Canada. 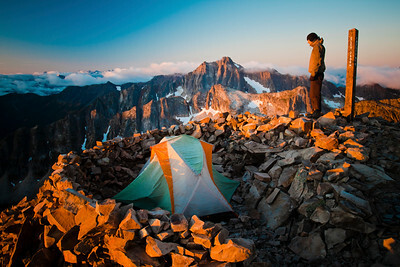 Castle Peak, located in Washington, USA can be seen on the horizon. 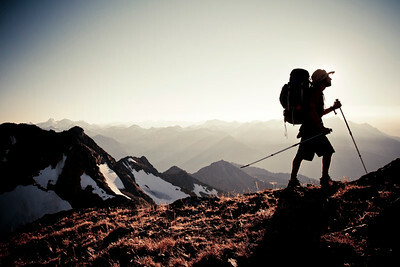 A backpacker hikes along a mountain ridge. 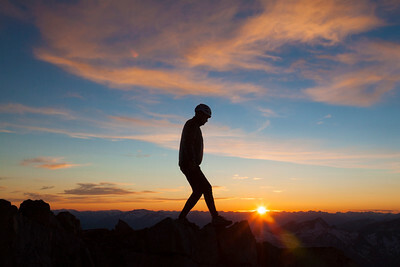 A hiker stands on the rocky summit of Crystal Peak and looks towards the sunset near Pemberton, British Columbia, Canada. 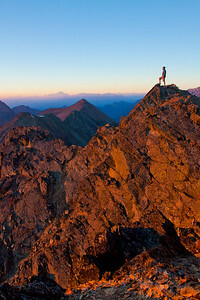 A hiker stands on the rocky summit of Crystal Peak near Pemberton, British Columbia, Canada. 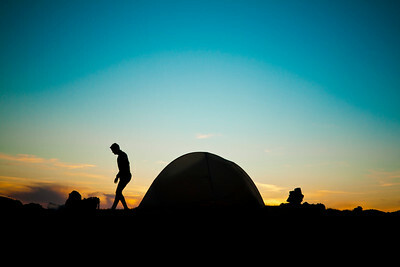 A hiker stands close to his tent during sunrise. 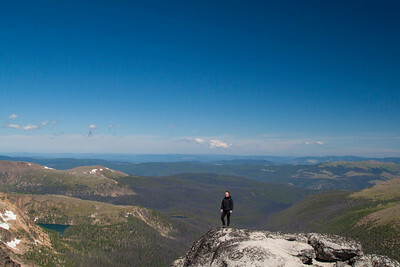 Backpakcer stands on a rock mountain ridge.